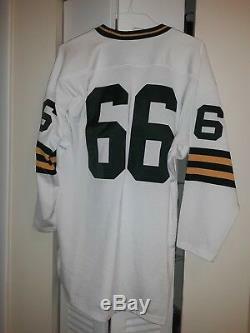 Ray Nitschke authentic Mitchell and Ness white durene road jersey. All numbers are sewn on. Made to commemorate the Packers 1966 championship season. 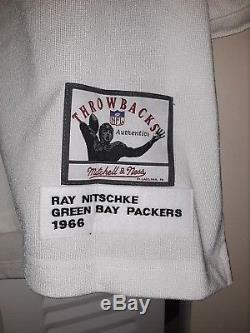 A great collectible for any Packer fan. 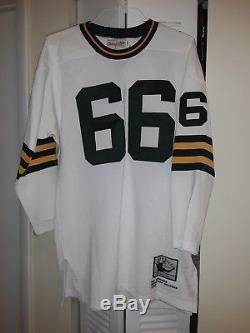 The item "Mitchell & Ness authentic 1969 Green Bay Packer Ray Nitschke jersey size 44" is in sale since Sunday, December 16, 2018. This item is in the category "Sports Mem, Cards & Fan Shop\Fan Apparel & Souvenirs\Football-NFL". The seller is "vettefifty3" and is located in Fort Lauderdale, Florida. This item can be shipped to United States.